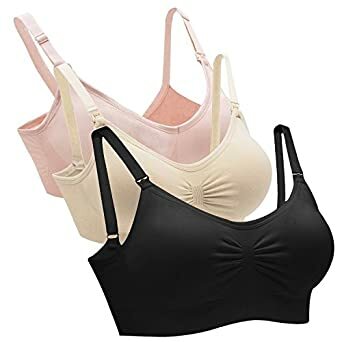 If you are planning to breastfeed, a couple nursing bras are a must have. They make it convenient to easily snap down the bra to feed your baby. Just like a traditional bra, they come in a wide range of styles and materials for every occasion. One of the most important things to consider when buying a nursing bra is size and comfort. Usually the bra size you are while pregnant, will be the size you are postpartum. As far as comfort is concerned, that will be up to individual preference. Finding the best nursing or maternity bra doesn’t have to be so hard because the hard work is done for you here.